"Churchill 'Bounces' at Glittering Party"
LONDON, June 6 -- A crowd of 50,000 cheered the Queen  last night when she came out on to the balcony of Buckingham Palace after a reception for 2,000 foreign Coronation guests at the palace state apartments. She wore a white-and-silver lace dress over gold lame, with a sparkling tiara . The Duke of Edinburgh , who waved with her to the crowd for five minutes, wore his uniform as Admiral of the Fleet. Police said it was the biggest crowd outside the palace since Tuesday's Coronation. So dense was the crowd some of the guests had to enter by a side entrance. All the Commonwealth Prime Ministers, including Mr. St. Laurent of Canada , were among the guests, as were the Archbishop of Canterbury , Prime Minister Churchill  and Princess Alice of Greece , the Duke's mother. Earlier the Queen and many of her guests had attended a glittering dinner party given by Churchill. The flower-bedecked banquet room at Lancaster House  was set with 15 round tables for the 150 guests. Each place was set with shining silverware once owned by the Duke of Wellington . Enjoying himself hugely, Britain's 78-year-old Prime Minister bounced around among his guests like a man half his age. They included members of the Royal Family, Commonwealth Prime Ministers, Crown Princes from Europe and Asia and top diplomatic and military leaders. It was a final celebration of the Coronation week before the visitors start returning today to their homes. Lancaster House, an ancient mansion overlooking the Mall in central London, was redecorated by the British government for the official receptions. Crowds cheered the Queen as she left Buckingham Palace and drove down the tree-lined Mall to the dinner. Upon arrival, the guests went up a flower-lined double staircase, one of the finest in Britain. Lady Churchill , on the Duke of Edinburgh's arm, followed Churchill and the Queen into the banquet room. The guests sat down to a dinner of consomme, salmon trout, chicken asparagus, strawberries and coffee -- all served in Wedgwood china especially made for the occasion. The Irish Guards' string orchestra provided background music. Churchill proposed toast after toast for his distinguished guests, starting with the Queen, Prince Philip, Queen Mother Elizabeth  and Princess Margaret . 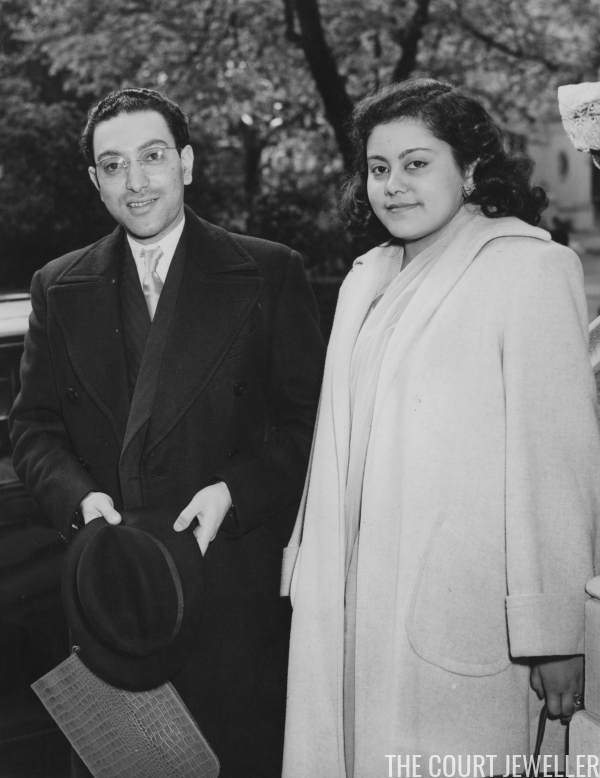 Soviet Ambassador Jacob A. Malik  was there, along with Crown Prince Akihito of Japan , Princess Himalay of Nepal , and many other guests of the Coronation ceremony. Earlier in the day, the visitors attended a Buckingham Palace ceremony in which the Queen officially thanked them for attending her Coronation and said formal farewells. In the afternoon, most of them attended a garden party at Lambeth Palace given by the Archbishop of Canterbury, Dr. Geoffrey Fisher. The skies cleared and the weather warmed considerably for the first time since the rain-drenched Coronation Day. At Sandringham Park, Royal country estate in Norfolk, the Queen gave an all-day party for her employees and tenants. She did not attend. There were more than 2,000 guests from the eight villages comprising the Royal estate. During the day, more than 8,000 persons filed through Westminster Abbey to see the Coronation decorations, to remain on exhibition for the next month. 1. Queen Elizabeth II of the United Kingdom (born 1926) was crowned at Westminster Abbey on June 2, 1953, a little over a year after she succeeded to the throne. In June 1953, Elizabeth was 27 years old. She had been married to the Duke of Edinburgh for five and a half years, and they had two children: Prince Charles, who was four and a half, and Princess Anne, who was nearly three. 2. The Queen's jewels on this occasion were the original pearl setting of the Vladimir Tiara, Queen Victoria's Pearl Drop Earrings, and the Greville Ruby Necklace. 3. The Duke of Edinburgh (born 1921) was born Prince Philip of Greece and Denmark. He married Princess Elizabeth, then heir to the British throne, in November 1947. When her father died in February 1952, she became Queen. Philip was 31 years old when his wife was crowned; he turned 32 about a week later. He served as chairman of the Coronation Commission, which was established in April 1952. At the coronation ceremony, Philip was the first peer to pay homage to his wife -- who was also his new sovereign. 4. Louis St. Laurent (1882-1973) was a prominent Canadian lawyer and politician. He served as Prime Minister of Canada from November 1948 until June 1957. He was 71 years old when he traveled to Britain to attend the Queen's coronation. A year earlier, he had encouraged the new monarch to appoint the first Canadian-born Governor General of Canada, Vincent Massey. 5. Dr. Geoffrey Fisher (1887-1972) was the Archbishop of Canterbury from 1945 until 1961. He presided over both the marriage and coronation of Queen Elizabeth II. In June 1953, he was 66 years old. The day before the coronation, the Queen bestowed a new honor on him: he was made a Knight Grand Cross of the Royal Victorian Order. When he retired in 1961, he received a life peerage, becoming Baron Fisher of Lambeth. 6. Sir Winston Churchill (1874-1965), one of the most famous Britons of the twentieth century, was the nation's prime minister at the time of the coronation. It was his second term in office; he had previously served in the post from 1940 to 1945, and had returned to the job in October 1951. 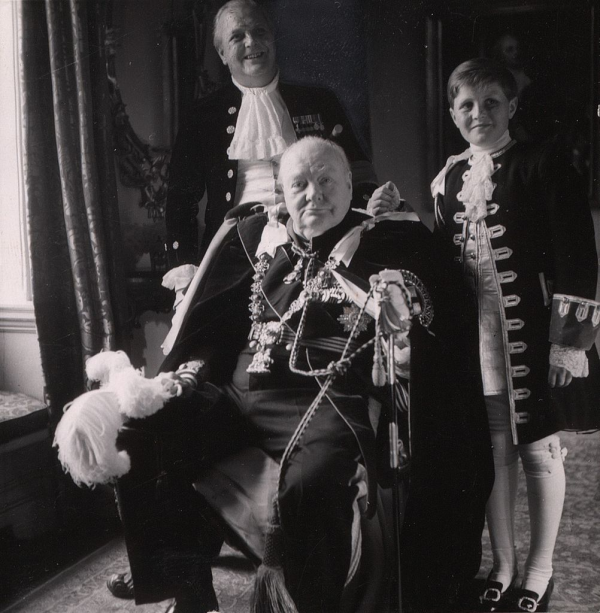 Though this article describes Churchill as energetic and excited, he suffered his second stroke only three weeks after the coronation festivities had concluded. His health continued to decline, and he finally retired for good in 1955. 7. Princess Andrew of Greece and Denmark (1885-1969), born Princess Alice of Battenberg, was the mother of the Duke of Edinburgh. Born at Windsor Castle, she was a great-granddaughter of Queen Victoria. She married Prince Andrew of Greece and Denmark, the fourth son of King George I of the Hellenes, in 1903. Alice's life was marked by periods of turbulent mental health and a strong desire to improve the lives of others. In 1949, she had founded a religious nursing order, and she had traveled through the United States in 1952 in an effort to raise funds for the organization. 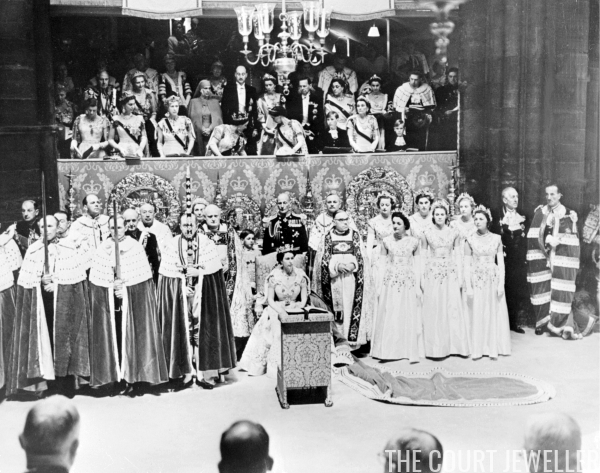 Sixty-eight-year-old Alice attended the coronation festivities dressed in a nun's habit. 8. 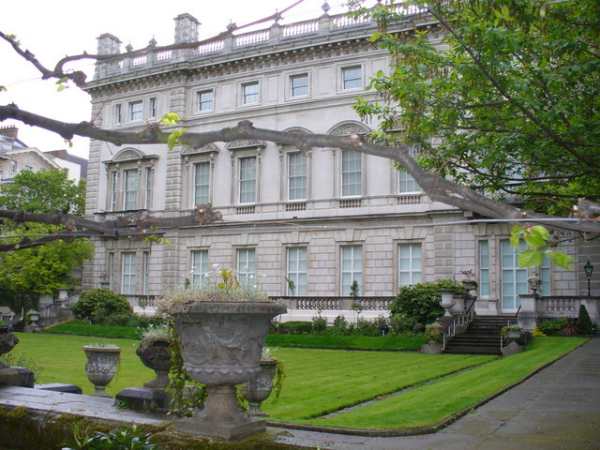 Lancaster House, a mansion located near St. James's Palace, was built in the first half of the nineteenth century. Originally commissioned by the Duke of York, the second son of King George III, it was eventually purchased by the Duke of Sutherland, who named it Stafford House. It was rechristened "Lancaster House" by a subsequent owner, the soap manufacturer Sir William Lever. He presented it to the British government in 1913. It was briefly the home of the London Museum, but the building is now managed by the Foreign and Commonwealth Office. It also houses a particularly crucial diplomatic tool: the Government Wine Cellar. 9. Arthur Wellesley, 1st Duke of Wellington (1769-1852) was a British military hero and statesman. He defeated Napoleon at the Battle of Waterloo and went on to serve two terms as Britain's prime minister. 10. Clementine Churchill (1885-1977), born Clementine Hozier, was the wife of Sir Winston Churchill. She was 68 years old at the time of the coronation. 11. Queen Elizabeth the Queen Mother (1900-2002), nee Lady Elizabeth Bowes-Lyon, was the mother of Queen Elizabeth II. She was Britain's queen consort from December 1936 until the death of her husband, King George VI, in February 1952. In June 1953, the Queen Mother was 52 years old. She would remain a vital part of the royal family, with an important public role, for almost five more decades. 12. Princess Margaret of the United Kingdom (1930-2002) was the younger sister of Queen Elizabeth II. In June 1953, Margaret was 22. She was in the midst of a secret romance with Peter Townsend, who had served as an equerry to her late father and was now the comptroller of her mother's household. 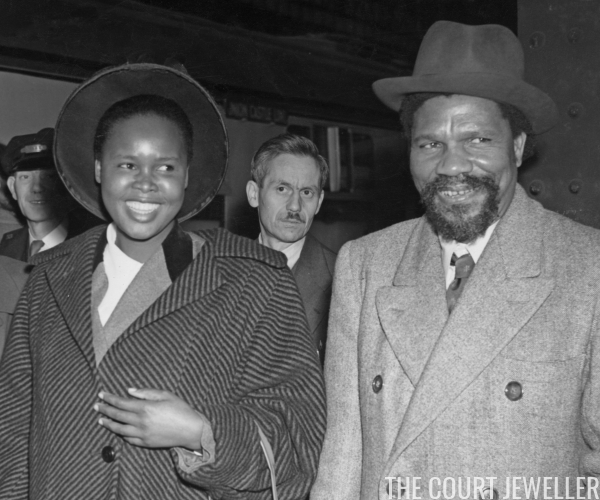 Townsend, a 38-year-old divorced father of two, had proposed to Margaret in the spring of 1953, and they had approached the Queen about the possibility of marriage. The Queen had asked Margaret for a year-long delay "under the circumstances" -- that is, the upcoming coronation and following Commonwealth tour. But an intimate gesture from Margaret during the coronation -- she brushed a bit of lint off of Townsend's coat -- tipped off the press to their relationship. Townsend was sent to Brussels, and the relationship was sent to the back burner until 1955. 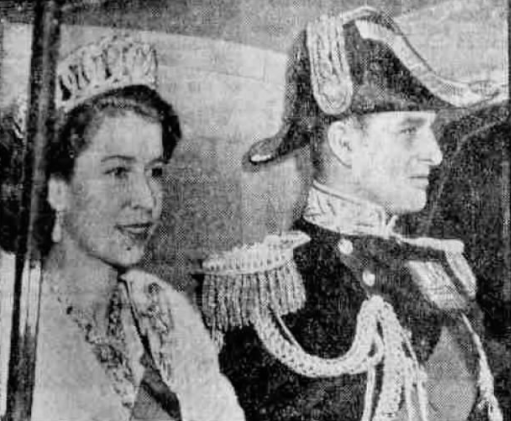 Although the Queen and government ministers ultimately developed a plan that would allow Margaret to marry Townsend and retain her royal title, Margaret announced the end of her romance with Townsend to the public in October 1955. She married society photographer Antony Armstrong-Jones in 1960. 13. Yakov Alexandrovich Malik (1906-1980), a Ukrainian-born Soviet diplomat, served as ambassador to Britain from the USSR from 1953 until 1960. 14. Emperor Akihito of Japan (born 1933) was the heir to the Japanese throne in June 1953. His formal investiture as crown prince took place in Tokyo in November 1952, less than a year before this coronation. Akihito was 19 when he traveled to Britain to attend the coronation. He was made an honorary Knight Grand Cross of the Royal Victorian Order during the visit. Placed in historical context, his attendance at the coronation was rather remarkable; Britain had been at war with Japan until September 1945 -- not even a decade before this coronation took place. 15. Princess Princep Shah of Nepal (1930-1982) and her husband, Prince Himalaya of Nepal (1921-1980), attended the coronation in 1953 as representatives of his father, King Tribhuvan of Nepal. Princess Princep was particularly devoted to charity work, helping establish a branch of the Red Cross in Nepal and serving as its president. Prince Himalaya was made an honorary Knight Grand Cross of the Order of the British Empire during this coronation trip.